The star of My Drunk Kitchen heads out on the open road to taste everything from Maine lobster to New Mexico chiles. Back in 2011, YouTube-first content still had an overabundance of lo-fi vlogs and cats playing the piano. And it was during that year that Hannah Hart, creator of the uber-popular MyHarto YouTube channel, filmed a video to cheer up a friend. It was entitled “Butter Yo Sh*t” and it featured a post-college Hart drunkenly making a grilled cheese sandwich. After she uploaded it to YouTube, though, the strangest thing happened, people really liked it. Six years, two books, three feature films and hundreds of videos, including almost 200 My Drunk Kitchen episodes, later, Hart now has her own TV show on The Food Network, aptly titled I Hart Food. The six-episode series, which premiers August 14th at 10/9c, takes Hart on a trip across the U.S. to explore local specialties and what makes each of them unique. While Hart knows hers won't be the first food-meets-travel show on TV, her hope is that her enthusiasm and genuine interest in regional specialties shines through to separate I Hart Food from the pack. “My favorite type of programming is what I like to call “infotainment,” which happens when you’re being super entertained, but also happened to be learning something,” she says. “That’s what I really want to do with I Hart Food: I consider myself a food enthusiast rather than a food expert and I really hope to bring that desire to learn to the show,” she says. 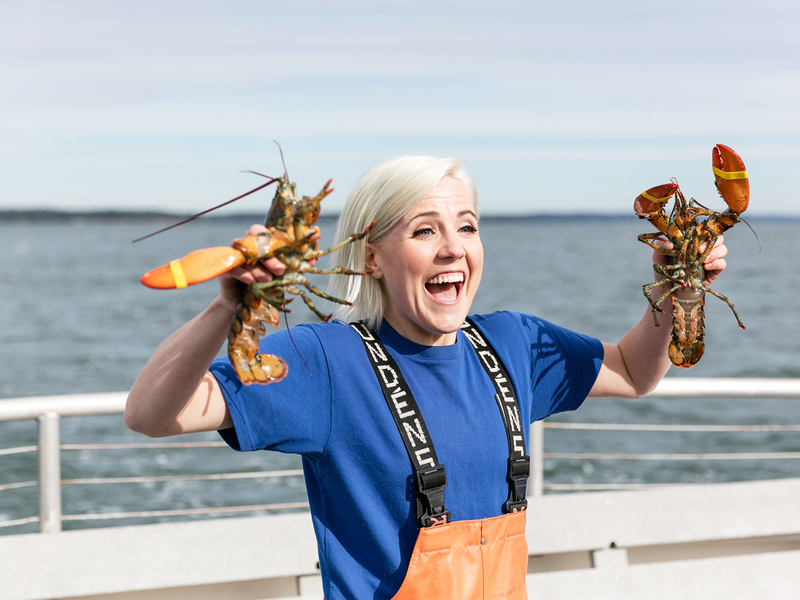 You can watch the premier of Hannah Hart’s I Hart Food on August 14th at 10/9c and in the meantime, check out her YouTube channel MyHarto, which includes her super popular My Drunk Kitchen series.